10,000 orders means free Japanese voice-overs. 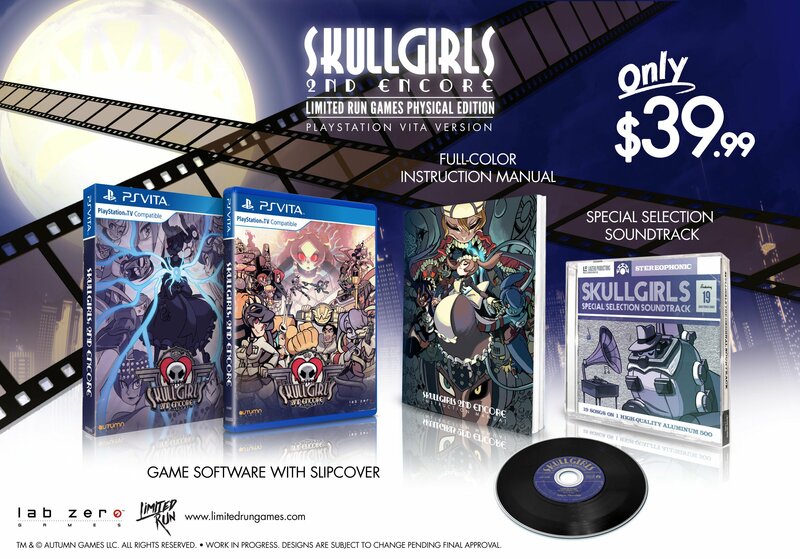 Limited Run Games will produce a limited physical edition of Skullgirls 2nd Encore for PlayStation 4 and PS Vita, developer Lab Zero Games announced (2). 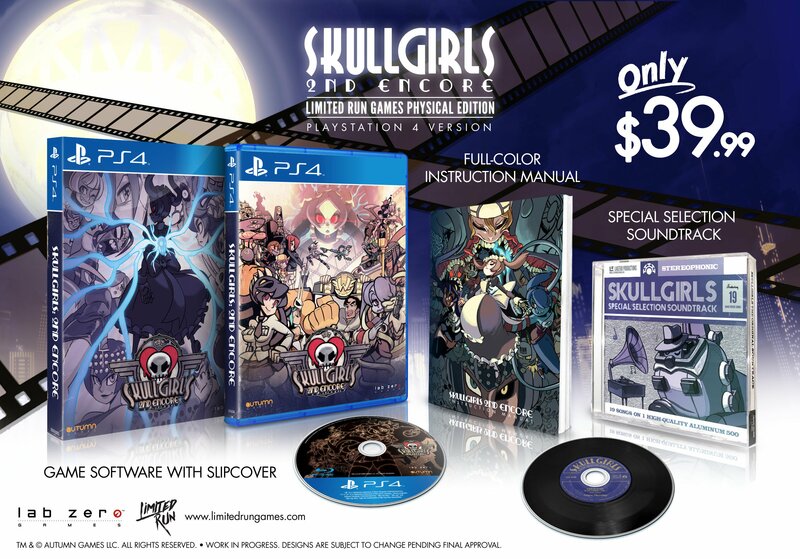 For $39.99 across either platform, it will include a disc-based copy of the game, a slip cover, a full-color instruction manual, and a special selection soundtrack. Pre-orders will begin Monday, October 31 at Limited Run Games’ online store and be open for two weeks. If 10,000 orders are submitted, Lab Zero games will patch in Japanese voice-overs free of charge. This is because licensing fees for the voice-overs are expensive, according to the studio.